We can call debt as a loan, or loan is amount owed by the borrower to a person or financial institution or simply just an organization. Debt Consolidation in simple words it means getting a new loan in order to pay the latter ones. People usually get a debt consolidation to get a fixed or lower amount of interest rate or sometimes just for the sake of convenience i.e. getting out of all their loans and being responsible for only one. Debt consolidation is done against collateral or a pledge as it lowers the interest rate. 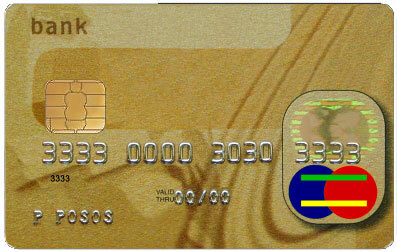 It provides people with an easy mode to pay their debts with a very small payment in a month. People only opt for debt consolidation if they have more than one debts, as it is for those who are struggling with multiple amounts of debts and cannot pay for them. The debt consolidation firms provide free debt expertise and resolves their debt problems. When your debt starts getting paid off your reputation is eventually improved and debt consolidation company also helps you in rebuilding a better image as a borrower. There is no harassment involved as the debt consolidation company safeguards you from being contacted by your creditors. You only have to make a single payment each month. You are provided easy debt repayment plans. Late fees are many times eliminated and if not reduced if you take up a debt consolidation plan. Lessens the burden that you are carrying in your head about how to deal with such a big amount of debt. There are two sides to every story and such is a case of debt consolidation also. People many times may question if debt consolidation is good or not. Should people enter into such a consolidation? My advice, try not to take any debt and secondly never go for debt consolidation. Why? It is very simple. In the process of Debt consolidation you are actually paying more. How? Well, let me explain in a very simple manner you are actually paying more by increasing your time period. A lower interest rate and a lower payment may make you happy and may seem harmless but actually you would be paying for twenty years what could end in only five fiscal years. Debt consolidation is a secured loan i.e. the lending company does not has to bother about anything if the borrower is not able to pay they will just take over what ever is secured for e.g. if you have secured against a property and you are not able to pay the debt consolidators the property will automatically be in the possession of the debt consolidation firm. Getting a debt help is not as easy as it seems. The debt consolidation company would first secure their loan and then offer anything to you in return even for the free advice.